* The image uses representative images. Please be aware that it may be different from the actual product. The replacement work itself was made with one positive screwdriver. Since the knob was made of resin, it was a feeling that the texture was suitable for the price, but opening and closing the door became easy. This review is about item#31569064. Since it is the future installation, I have not used the assembly yet yet it is easy to use. 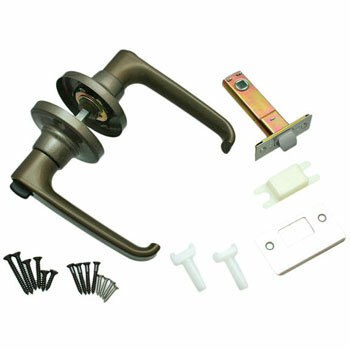 Although it was able to be replaced easily, since the handle is not stainless steel, it is a bit uneasy for durability. The exchange was easy to exchange with a single driver. Because the original hole was small, I fixed it directly to the door with wood screws, It seems that it will rattle soon and is uneasy. (If there is looseness, drill holes and install with the attached parts) I am satisfied because I was able to purchase at a satisfying price. Purchase the lever kick spring for damage. It is cheap and easy to use. This review is about item#31569107. It took a day to arrive. The product was cheap, but it was a texture of its own. There is nothing to improve in particular. If possible, it would be wonderful if the delivery date of the product was shortened. It is recommended because it can be cheaply fashionable DIY. Put the carbon film on the door The door knob has been replaced with this item. The part that can measure without removing the door knob was perfect In my case, the position of the hole in the door was bad and I tried to spread the hole with a hole saw to the door, but I think that it is possible to attach a common door. I exchanged it for an old parent whose grip strength was weak. I chose a plastic handle that will not get cold in winter and I am glad that my old parents have become easier.